Come discover the Rechy valley or perhaps spend a night in the Becs de Bossons hut and spend a day in St Luc/Chandolin. http://www.epictv.com Is Grimentz the best resort you've never skied? Grimentz/Zinal is located in the Valais canton of Switzerland, a mere 25 kilometers from Verbier as the crow flies. However, in terms of fighting crowds for powder turns it's like you're on another planet. Our first morning gets started with a breakfast briefing and course presentation. We will discuss a general theme and plans for the week and also do a quick gear check. This first day also includes an important avi "buddy check" refresher where we will go through the basics of avalanche safety using the test center above Zinal as well as a few wise words about decision making and terrain selection. The following days are spent exploring the vast terrain that the Val d'Anniviers has to offer. From the hidden gems in the forests above Zinal to the Rechy valley to skiing down to the Moiry dam - this place has so much to offer. 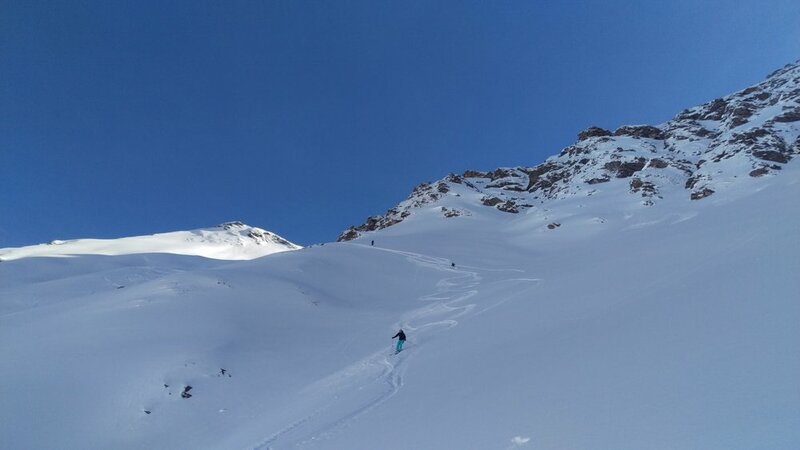 We will also try and have a ski day down the valley in St Luc/Chandolin which has some pretty amazing terrain to explore.